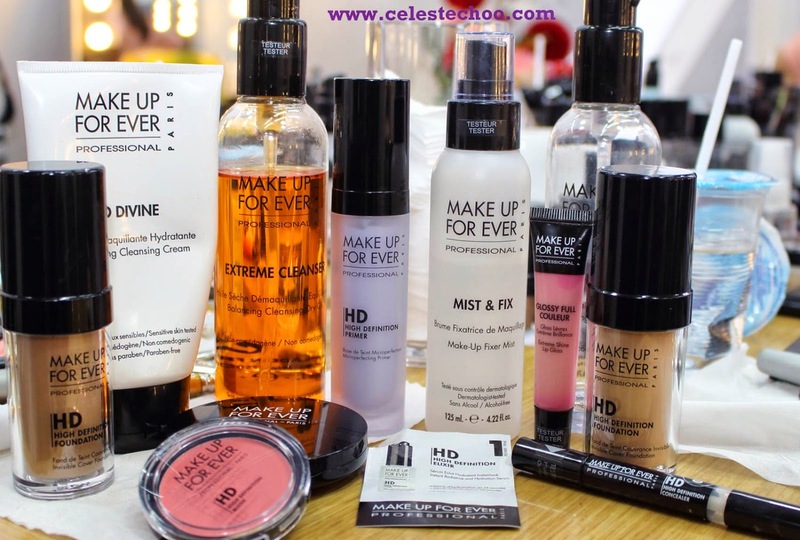 When fellow beauty addict Ashley Yeen announced that she collaborated with Make Up For Ever to conduct a workshop on high definition make up, I knew I had to join. 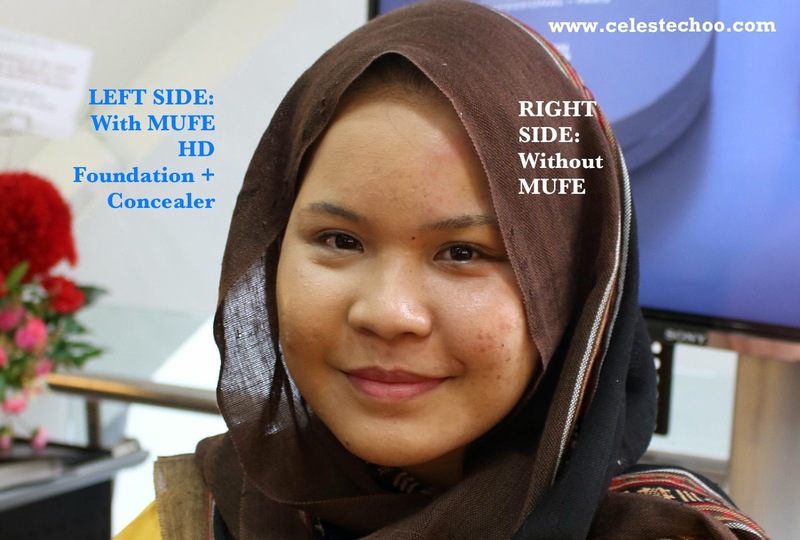 I’ve certainly encountered MUFE long time ago but I haven’t tried any of the products. I guess I just didn’t have the chance or the time to really explore it before. So it was good news when Ashley invited me to this workshop with MUFE! 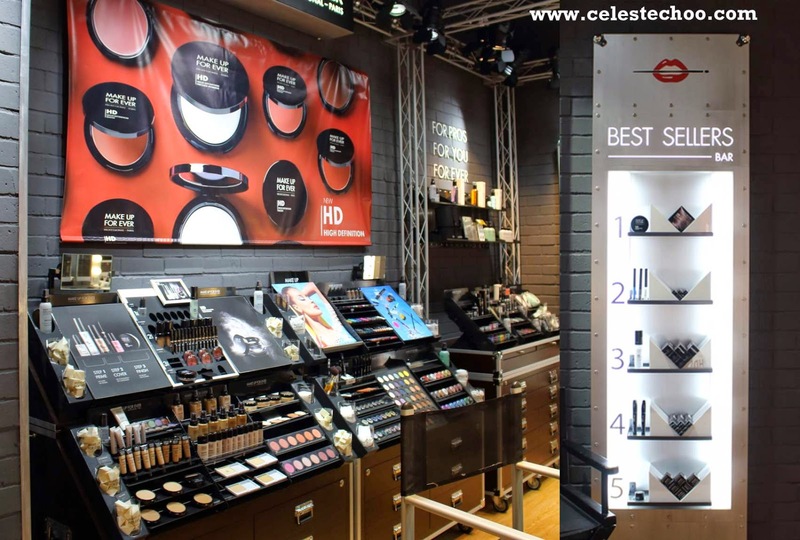 The agenda: High Definition Make Up. Wait, by the way, what is high-definition makeup? You guessed it right; HD makeup has something to do with video and photography. I’m sure you’ve encountered the term ‘HDTV’ or high-definition television. This type basically project images that are several times better in resolution than normal or standard types of TV. Same for photography, we have high-resolution images captured by DSLR and even point-and-shoot cameras. And what do all these have to do with makeup? Simple. When these latest technology video cams or cameras capture your face, your makeup should be in ‘high-definition’ technique, especially if you want to hide some flaws. 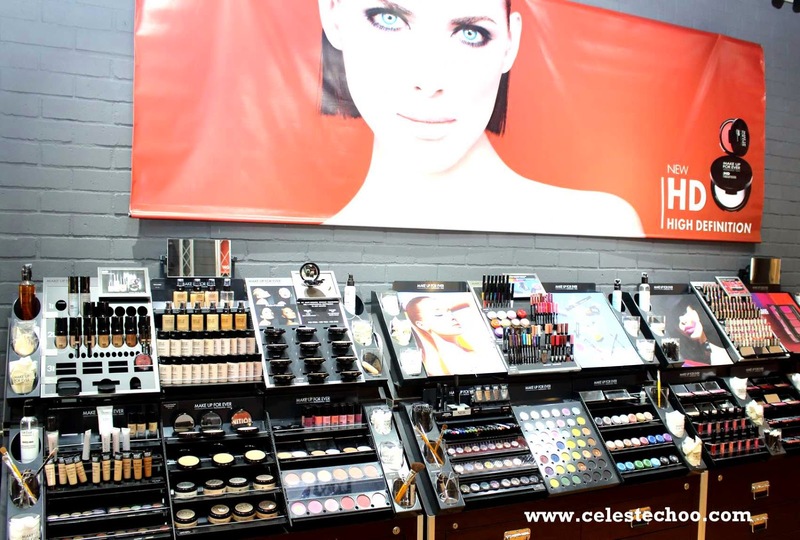 Professional make-up artists have undergone intensive training to perfect this high-definition technique but they also use good makeup products and tools to achieve that HD look. When the makeup technique is not HD-ready, a person’s face may reveal imperfections on video or on photos, which, of course, is something we ladies don’t like. Moreover, some make-up products or techniques make the face look overly done, unnatural and even older. But HD makeup is not just for videos and photos. It is a great makeup technique for daily wear, especially if you have to face a lot of people. Having an HD-ready face is close-up ready, meaning your face will look great and flawless when people see you face-to-face. 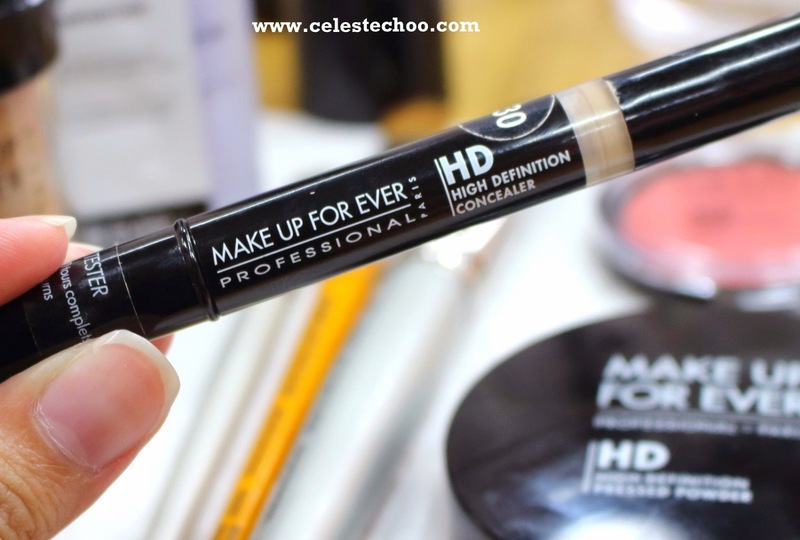 HD makeup effectively conceals imperfections without the look of thick application. Like what I said on Ashley’s post, HD means “Head-turning Diva”, and it was such a delight to attend a short workshop to learn how to achieve this look with Make Up For Ever. 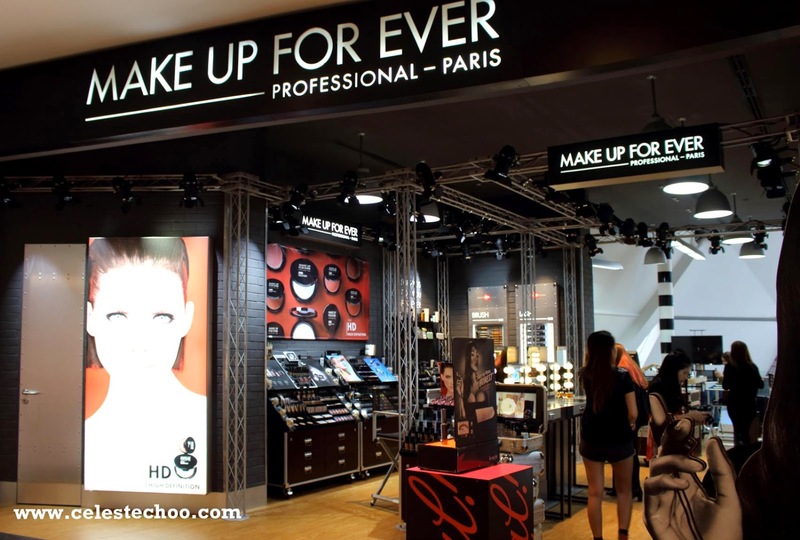 Arriving a few minutes before the starting time, I had sufficient shooting time to explore Make Up For Ever’s store in Sephora Starhill. 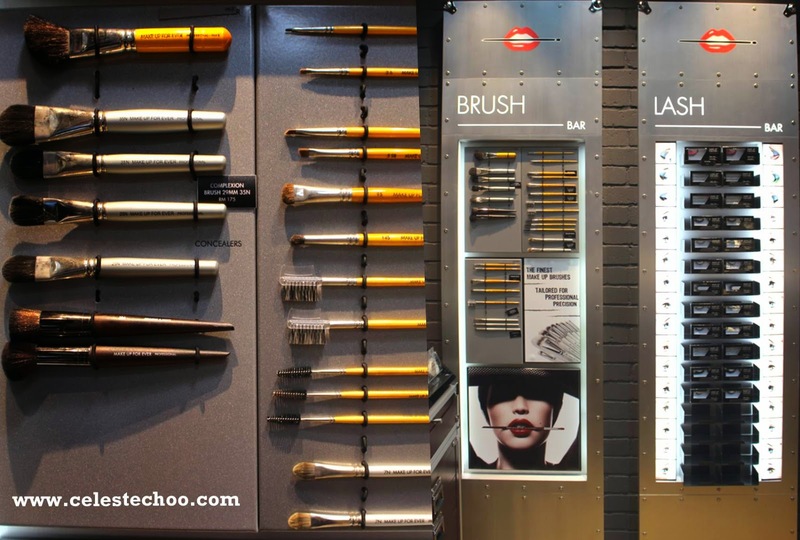 The façade is a welcoming display of cosmetics beautifully displayed on predominantly black walls and fixtures. 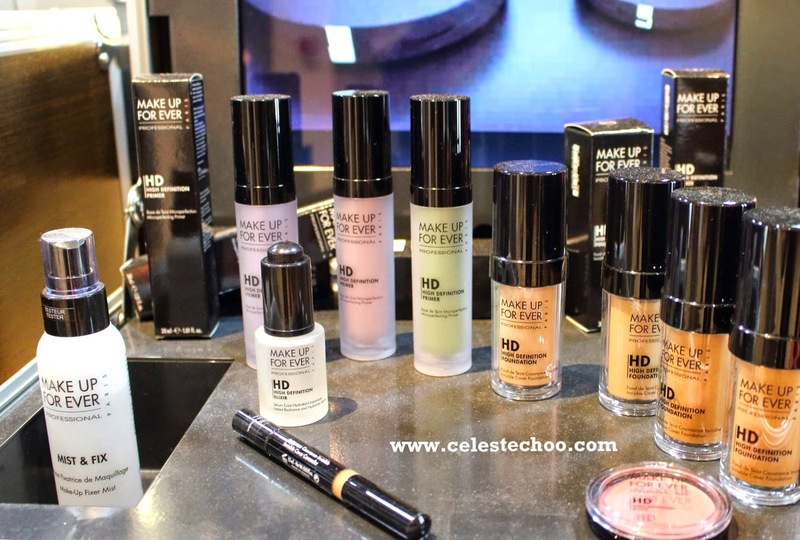 The focus collection was HD high-definition makeup such as HD primer, HR elixir, HD foundation, HD cream blusher and HD concealer. The class started with a short introduction and thank you remarks from Ashley. Our workshop make-up artist for the day was Angeline while the workshop model was a lovely gal named Izza. Here, Angeline started removing Izza’s make-up so we can see the full effect of HD make-up before and after application. I really loved that Mist and Fix because it makes your makeup look even better by adding some glow or radiance while making it last longer. For someone like me who only applies full make-up in the morning and needs it to last the whole day at work, Mist and Fix is a great make-up companion. I recommend this as a must-have item in your cosmetic kit. It is priced RM110 for 125ml. We started by removing our own make-up (I used So Divine Cleansing Cream) then applied the HD primer blended with HD elixir, followed by the HD foundation. We also applied the HD concealer under the eyes. All these products blended smoothly and evenly on the skin. The textures were great, which allowed easy application on the face. Here’s JL Buzzbee, whom I finally met in person that day, being assisted by pretty make-up artist of MUFE, Shiory. 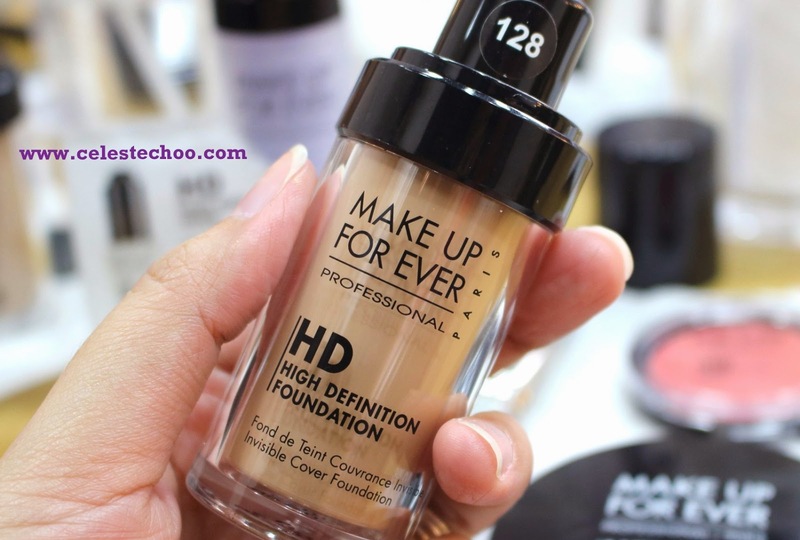 Angeline also recommended using the HD high-definition concealer under the eyes to conceal fine lines and other imperfections prior to eye make-up. The effect of the first few products was very flattering on Izza’s face. She’s lovely to begin with, by the way, but the effect of HD primer + HD elixir + HD foundation + HD concealer made her face look flawless. Compare the right to the left side and you can tell how HD make-up made a wonderful transformation in concealing imperfections without the look of overly done make-up. 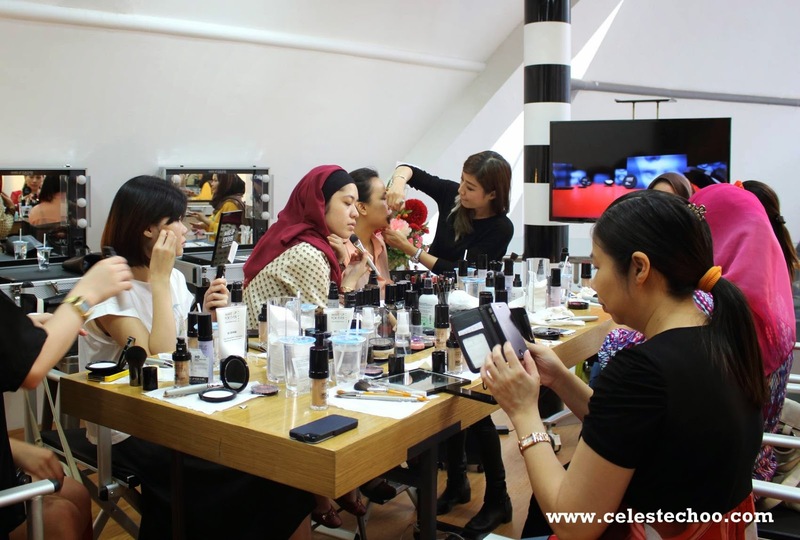 The workshop continued with application of eye make-up, HD foundation powder, lip color and other make-up items. See all of us with HD-ready faces and smiles here, together with Shiory and Angeline of MUFE. 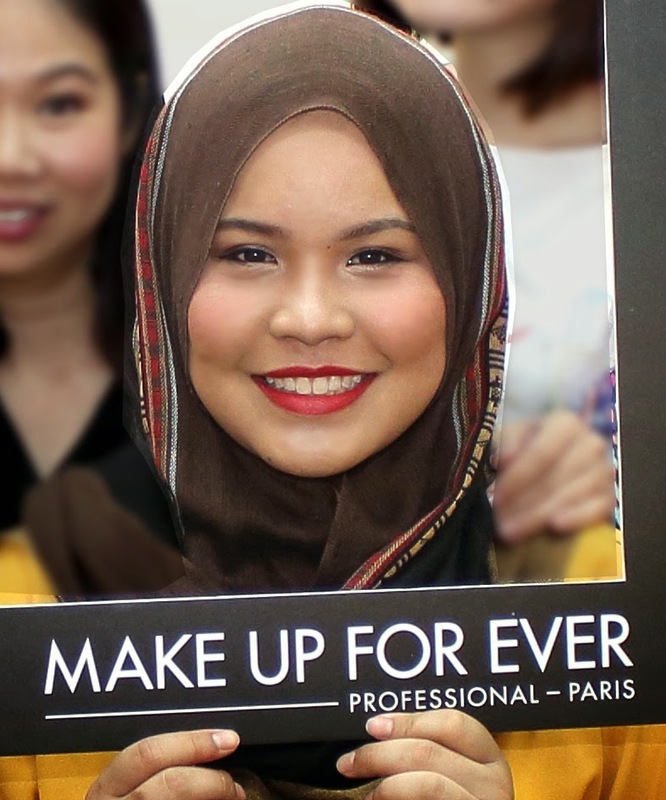 Can you spot Izza in her full HD make-up look? Can you spot where's Izza with her new HD makeup look? 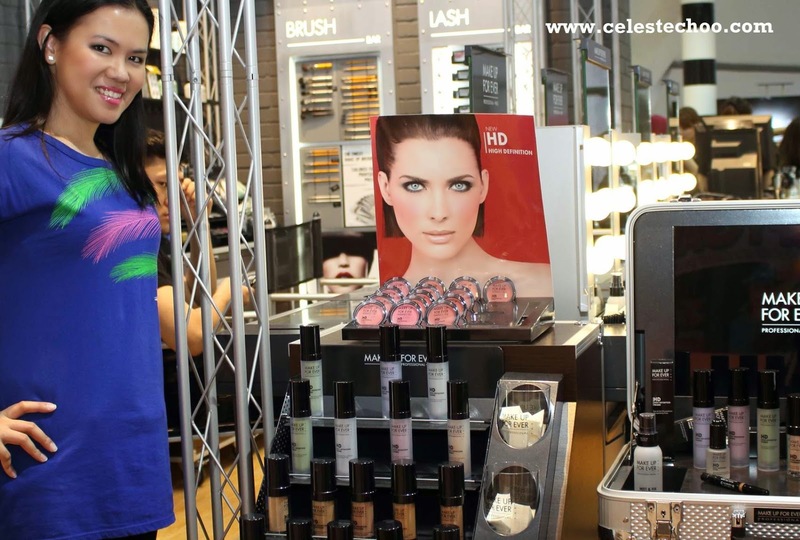 While the other gals continued with their HD make-up sessions, I continued to explore the store and their products. 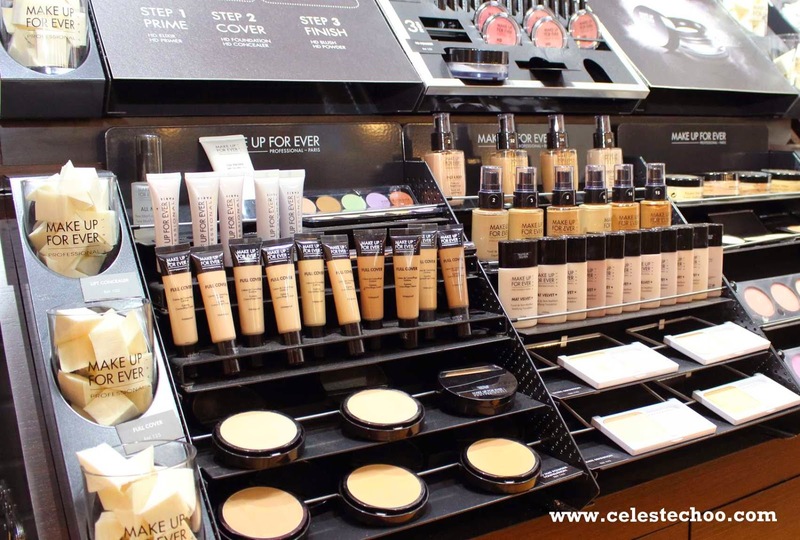 MUFE has really nice make-up collections. Oh, please, don’t tempt me to overspend this month! 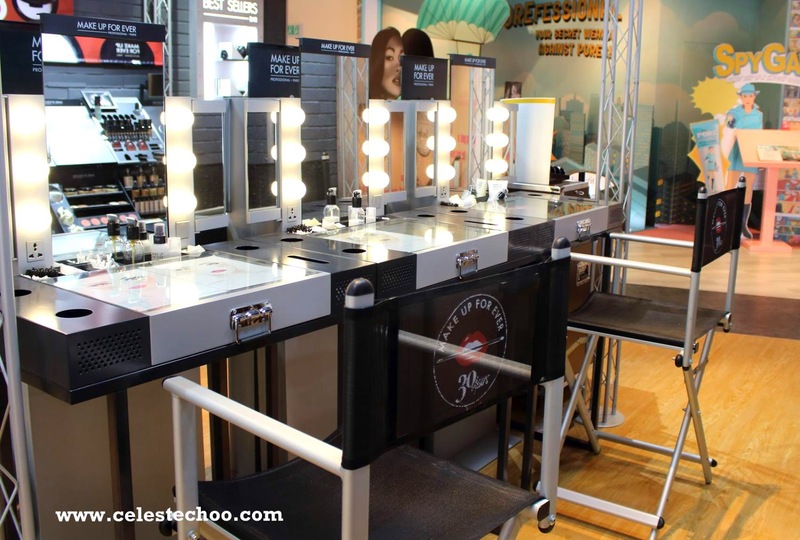 I loved the makeover tables at MUFE. 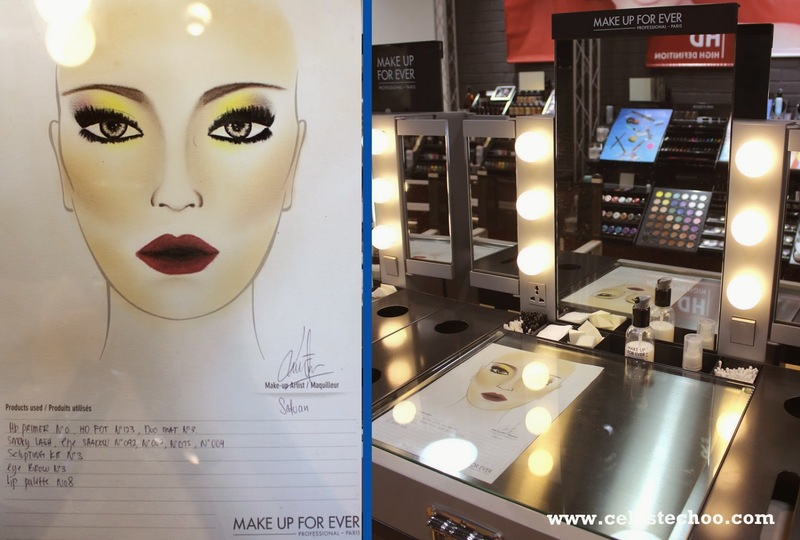 Each table has a face drawing like this, showing a list of products used and by which make-up artist. Isn’t that cute and also helpful? 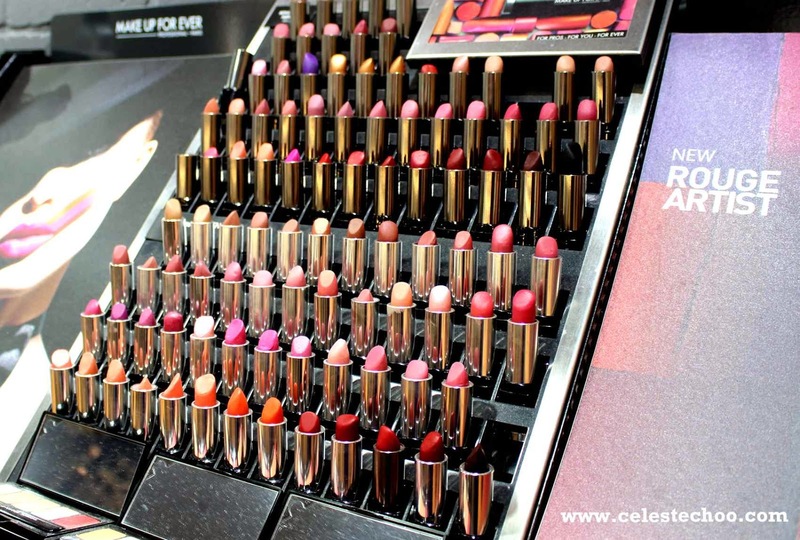 It’s a paradise of lipsticks and brushes! 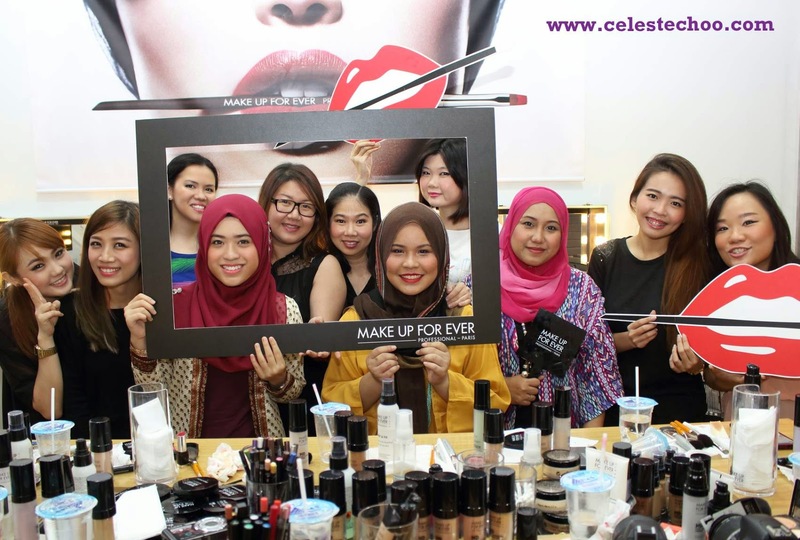 I had a great time learning some tips and tricks for achieving a high-definition make-up look. Thanks to MUFE and to Ashley for organizing this session.